Let's not talk about us, just see how our clients feel. Let’s not talk about us, just see how our clients feel. In today’s world it is all about hitting the numbers and being efficient. Modern technology has evolved to a stage where even people are measured in technical terms. Businesses try to include the „human factor“ and „rate it“ in terms of effectiveness and efficiency. Fairness – to everybody. To our customers and business partners, and of course our employees. They all are the energy that drives us. Honesty – here is nothing to discuss. We stay remain honest – and don’t act political. Respect – is the base of all trust. e-ito was founded by former EDS and IBM employees. 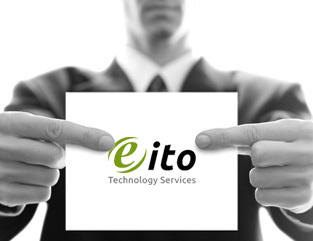 We have decades of experience in all areas of networking, network security and software development. e-ito is located in the Germany’s Nibelungencity Worms, in the Rhine-Neckar area. It near to the international centers of financial services, trades, culture, educatuon and tourism.